The Adriatic sea has further warmed over the past several days under the extreme heat wave that is affecting the entire N-CNTRL Mediterranean region. 7-day sea surface temperature average over the northern Adriatic: very high temperatures in the 28-30 °C range over the past week. Note the 30+ °C average in the Venice Lagoon, along the coast of eastern Veneto and around the Po delta. Note, however, that temperatures have also peaked at 29-30 °C in the NE corner (Gulf of Trieste) over the past few days! Map: Consorzio LaMMA. Zarja buoy data (Gulf of Trieste): water temperature at 2 m depth (!) reached 29.5 °C today (August 4). Data: Slovenian Environmental Agency (ARSO). Temperatures along the northern coast (Friuli, Veneto – north Italy) have already reached 28-30 °C and locally even higher in the quiescent lagoons (Grado, Venezia). Current analysis of Adriatic sea surface temperatures indicate warmest parts are the northernmost part along the coast of Friuli and eastern Veneto (Italy) and northern Istra (Croatia), where sea surface temperature is 29-30 °C. The central part of the Adriatic sea, particularly the coast around Bari (Italy) is also exceedingly warm with temperatures at 29-30 °C. Most of the Adriatic sea is now at 28 °C or higher. Sea surface temperature in the Adriatic sea forecast for Saturday, August 5. 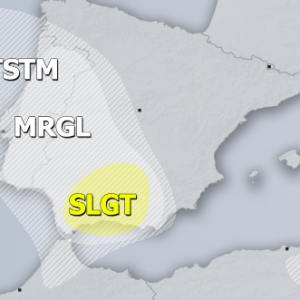 Map: Adriatic Forecasting System. Sea surface temperature anomaly in the Adriatic sea forecast for Saturday, August 5. 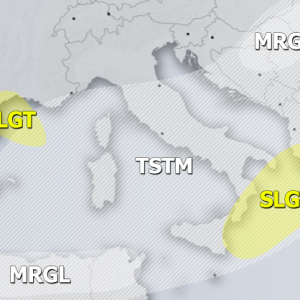 Map: Adriatic Forecasting System. The sea surface temperature anomaly (deviation from the long term average) is now approaching or exceeding +3 °C across virtually all of the of the Adriatic sea. 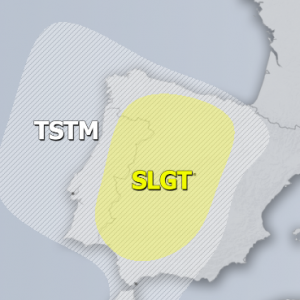 High sea surface temperatures, high rates of evaporation and consequent very moist airmass may well increase the severity of thunderstorms expected during cold front passage on Saturday. Check back for updates!